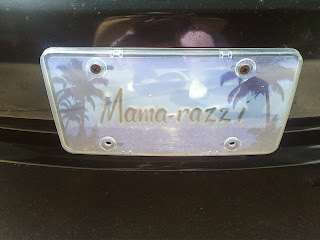 I got this license plate made while on vacation last year. There are at least one other car like mine that is always driving on the street around our house. I was getting waved at everytime I drove out of my driveway. I didn't know these people either & since I have had this license plate on my car I don't get waved at anymore by people that don't know me. If you don't believe it fits me, just ask my kids, lol.